Alfalfa harvest has just begun in Klamath Falls, Oregon. Growers have about 25 percent cut and will continue into the weekend. Growers in Christmas Valley are expected to start their 1st cutting later in the month. New Mexico 1st cutting is in full swing, and weather has been favorable thus far, giving opportunity for high quality Alfalfa. This window of good opportunity for harvest is welcome as monsoon season approaches and weather will become more challenging. The Pacific Southwest is nearing the end of 3rd cutting harvest, with a small amount left to bale. Growers in some areas of the PSW were able to begin their 4th cutting this week and have about 10 percent cut so far. Temperatures are expected to be well over 100° for the next 8 days. Warm weather has brought early Timothy harvest in all areas of the Columbia Basin and Kittitas Valley. 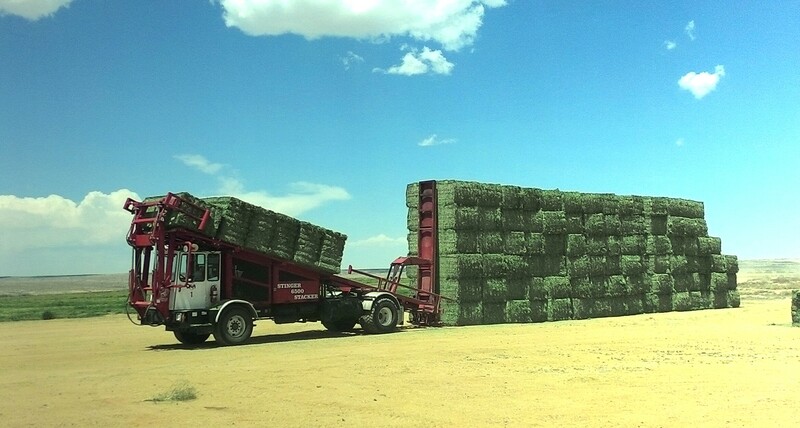 Growers in the North and South Basin of Washington State are starting 1st cutting this week to take advantage of the weather and have as much as 25 percent baled so far. Growers in the Willamette Valley of Oregon are still on track to begin Straw harvest in the middle of June, likely around the 15th – 20th. This several weeks earlier than we typically see.